You have the opportunity to visit the new map, called "Alien Invasion". In addition to the map, the archive contains some amazing mods. You will find yourself in a spaceship, where there are aliens. It may be noted the unique graphics that are closer to reality. If you like the fantastic stories, then you should not miss the opportunity to visit a spaceship. In this game you will hear a lot of sounds that are maddening. The main thing is to find the right way to get to the exit. After going down on the stairs you will find the neighbors who really scare you. 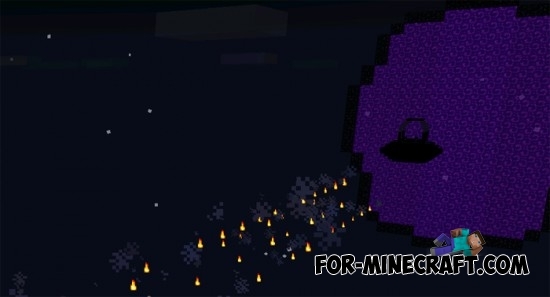 Morphing (Morph) mod for Minecraft 1.7.10Is a unique opportunity to become another mob right in the game. Battle of Kingdoms map for Minecraft PE 0.9.5 / 0.10.0This is a fantastic Map for Minecraft PE 0.9.5 . On this map you will be the only ones who can save a great kingdom from the hordes of evil monsters.